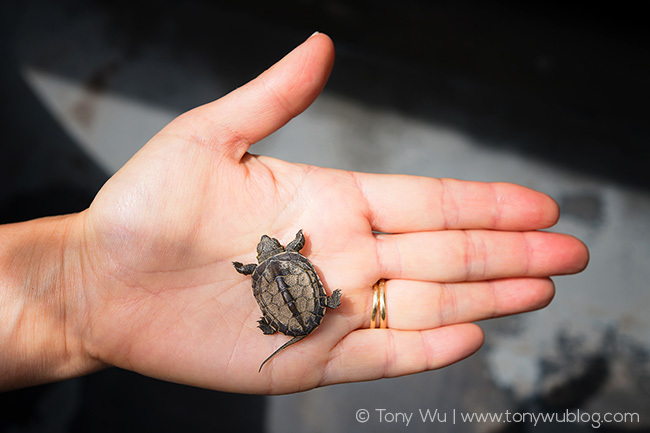 While working out in front of my house a few days ago, I spotted something quite unexpected—a tiny 3cm turtle on the black asphalt, in the baking mid-day hot sun, far from any area of freshwater. 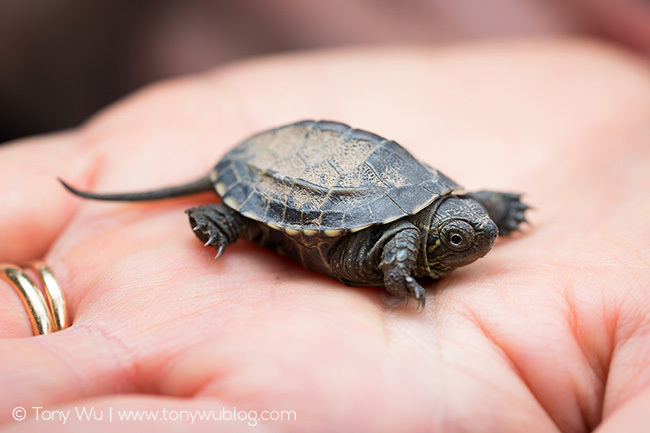 After searching online and asking for help on social media, I confirmed that the tiny turtle I had found is a Mauremys reevesii pond turtle. Concerned for the diminutive reptile’s welfare and not having any clue what to do, I tried offering it cabbage and goldfish food to eat, but it wouldn’t touch either. I had to find something the turtle would eat. So despite having a lot of work to do and needing to head to a couple of meetings, I visited a pet center, where I consulted a somewhat eccentric but very helpful turtle lady. Luckily it worked. Though still hesitant, the turtle ate a few pellets, and eventually pooped, which is always a good sign! I had initially thought the turtle was a Japanese endemic, so my plan was to find a suitable place to release the turtle once I was sure it was healthy. 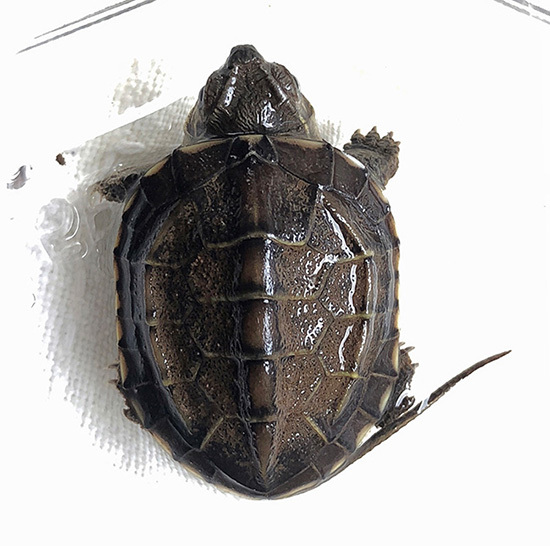 But as I learned, Mauremys reevesii is an exotic species brought in by the pet trade, so I couldn’t release the turtle into the wild in good conscience. 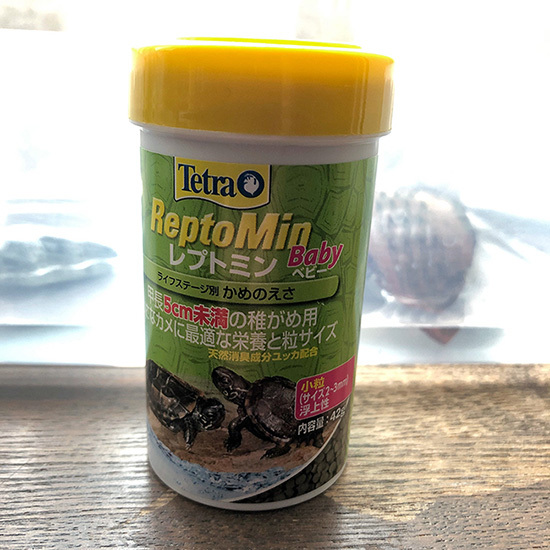 In a sense, it is too late, as invasive species like this have already overrun freshwater environments in Japan, pushing indigenous species to remote corners and driving them to precarious states of existence. But still, I can’t knowingly contribute to the problem, however bad it already is. I have Steve to thank for the excellent name suggestion. It is the first time he's been useful, which is proof positive that the world has gone haywire. I have no idea how he could’ve ended up in front of my house, which is on a dead-end road with no natural freshwater nearby. Perhaps a crow picked up him and dropped him, or perhaps someone bought him at a store and either lost him or threw him out. Whatever the case, Oogway has a home now. Off to look for a nice aquarium, some rocks, freshwater plants.